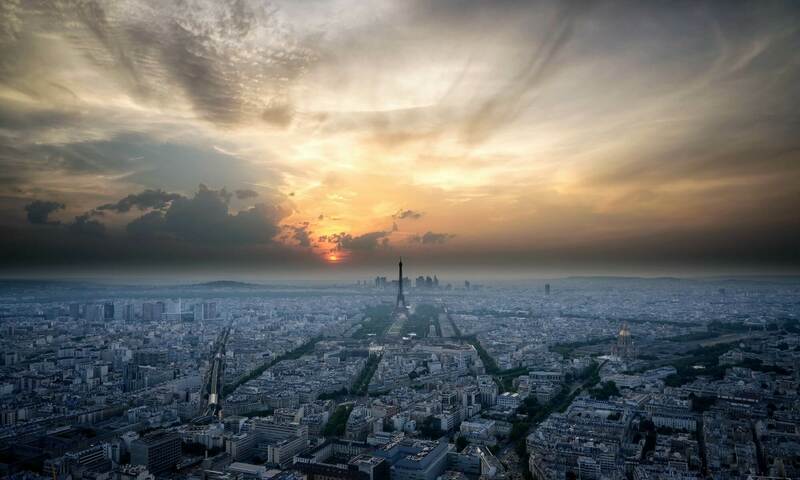 Cities all have to make painful decisions sometimes, and Paris is no exception. In the middle of the 1800s, Napoleon III ordered the destruction of many neighborhoods in order to modernize and beautify Paris. And he hired Haussmann to implement his vision. Most people agree that Haussmann avenues and buildings are beautiful. As a result, we forgive them. But we should keep in mind that it must have been painful for the people who lost their homes! 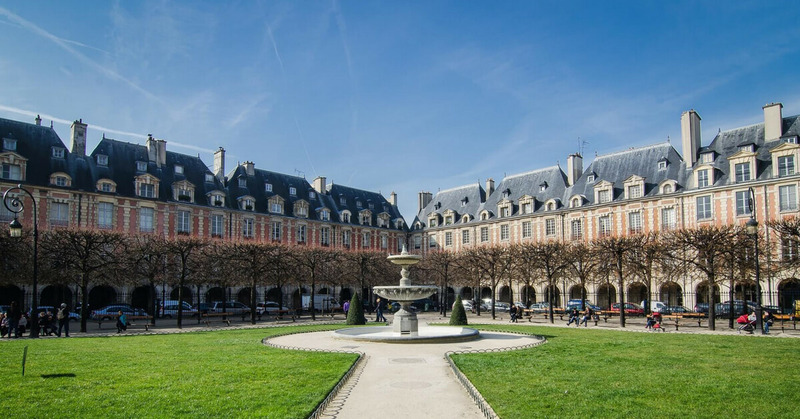 But that is not to say that all renovation plans are all as judicious as what Haussmann did. 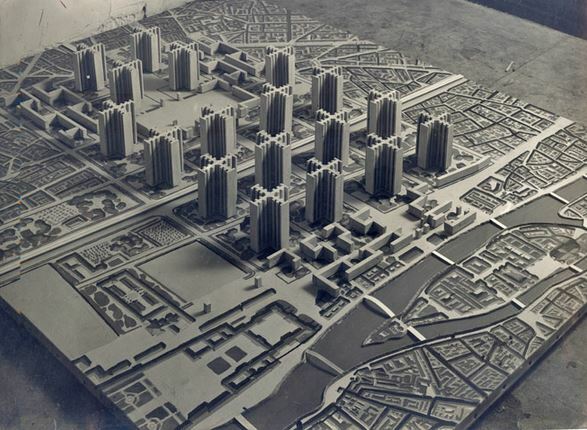 For example, and this is the topic of today's episode, when the city of Paris considered razing the Marais to build "modern" high-rises, we can all be glad the plan failed. Just look at what they wanted to build below, that alone should persuade you! Le Corbusier was a controversial and opinionated architect. When the city of Paris called for projects to modernize Le Marais, he jumped at the chance. What he proposed was a totalitarian-style monstrosity that would have solved the unhealthy building problem, but would have created many more. Everyone loves the Marais neighborhood today, so it is hard to believe that at one point it was on the chopping block. This episode is the story of the circumstances that made such a near miss come about. "Avoir du charme à revendre". The Marais has so much charm it could sell some! Sadly, another one of the large historical buildings in the right bank was destroyed: les Halles de Paris or the main Paris food market. Les Halles moved to Rungis in the late 60s and two years later they started demolishing it. 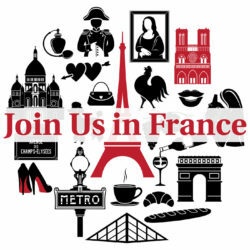 I love these podcasts about the history of France that you do. They are very inspiring and help me to view France in a much more nuanced way. I had heard of Le Cobrusier’s vision of Paris. He was brilliant but thank god he was not successful. Having just visited this part of Paris I feel his plan would have been a huge mistake. Thanks for the detailed account of this close call. Have you been to his home? I think it is now a museum. Thanks again for your awesome hard work.